Put-in-Bay is just one of the Lake Erie Islands that we love so much. You may be interested in visiting more than one of them while you’re here. There are various Inter-Island Ferries options, and if you’re looking for information on that, you’ve come to the right place! If you’d like to visit Middle Bass, which is home to sites like the famous Lonz Winery, you’ll want to learn about the Sonny-S. There are a couple of options to get you to neighboring Kelley’s Island, another very popular destination. 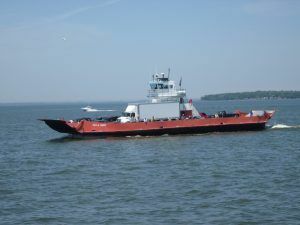 You can take the Jet Express, or the Kelley’s Island Ferry, and you can learn more about them below as well. 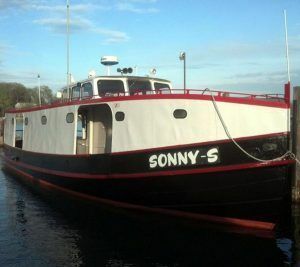 At the top of the hour, the Sonny-S departs from Put-in-Bay to Middle Bass Island. It leaves from the Boardwalk Pier and is the main inter-island ferry between islands. The ferry leaves from Middle Bass at the bottom of the hour. Generally the schedule is 11:30am from Middle Bass for the first boat, and 10pm from Put-in-Bay for the last boat. schedules will be available as the season draws near. Please check their website for rates, sailing schedules, and GPS coordinates to their inter-island ferries dock. The Kelley’s Island Ferry operates out of Marblehead, OH on the mainland. Summer service runs every half hour. A one-way adult ticket is $10, and automobiles, bikes and other large freight come with additional fees. Kelley’s Island is a great historic place to explore as a fun day trip. Kids will enjoy the glacial grooves and adults will enjoy the pitchers of Brandy Alexander!